Lockable storage cabinet for multiple keys. 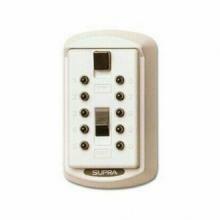 Compact slimline push button keysafe. 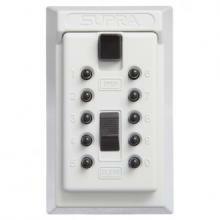 Permanent push button keysafe attaches securely to wall or flat surface with mounting hardware included. Portable padlock style push button keysafe hangs easily on a doorknob, fence, railing or pipe.